A white chocolate bar that is vegan and organic – the perfect snack for chocolate lovers needing or choosing to follow a vegan diet. Vivani makes a valuable contribution to maintaining healthy agricultural methods in the countries which supply the organic raw materials. Each bite contains chewy nougat and crunchy hazelnut brittle – a delicious taste sensation. 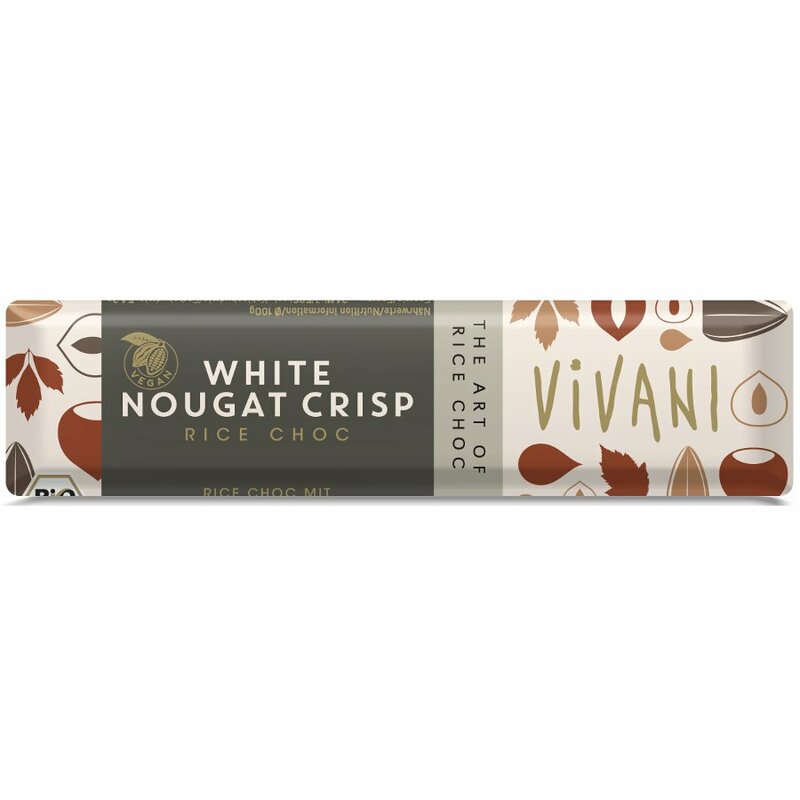 The Vivani Organic White Chocolate Nougat Crisp - 35g product ethics are indicated below. To learn more about these product ethics and to see related products, follow the links below. Great vegan white chocolate, put its too sweet for me to eat the whole bar in one go. Not quite so much to my taste, these were more of a praline than a nougat. Husband loved them though!